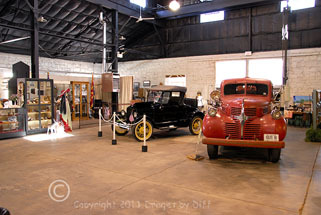 click photo to enlarge The Route 66 Museum in Ash Fork is operated by the local Historical Society. 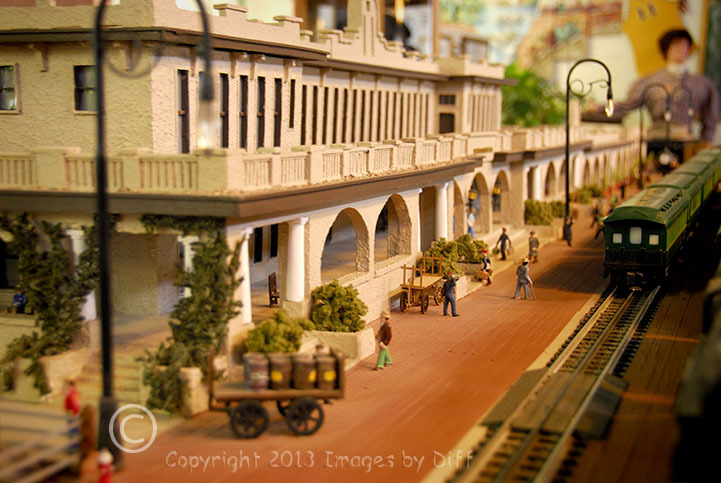 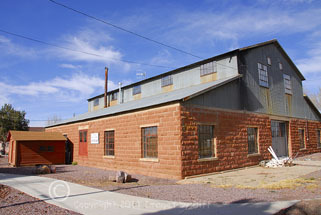 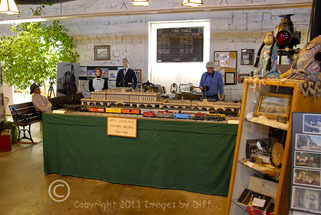 It is located a few blocks off of route 66 in an old transportation building. Just like the Route 66 museum we volunteer in, this one is also staffed by volunteers. The building was interesting inside and out and is well worth a stop when traveling route 66.
click photo to enlarge Outside on one of the old fire trucks we ran into L'ill Umberto who has been following us ever since we visited Rachel Nevada outside Area 51. 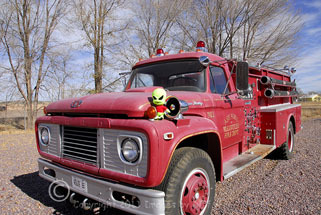 Here he was going for a ride on the front of this old fire truck.